Not only does the slipper clutch open when the engine back-torque becomes too high, it also assists when you open the throttle. The former prevents rear wheel chatter when braking sharply or decelerating – and gives the wheel just that bit of braking for a controlled rear wheel slide. The latter allows the clutch to be pulled and controlled with just one trigger-happy finger – saving you energy and offering greater control – just like the pros. It’s the guarantee of a smooth throttle response, more than simply the absence of a throttle cable. 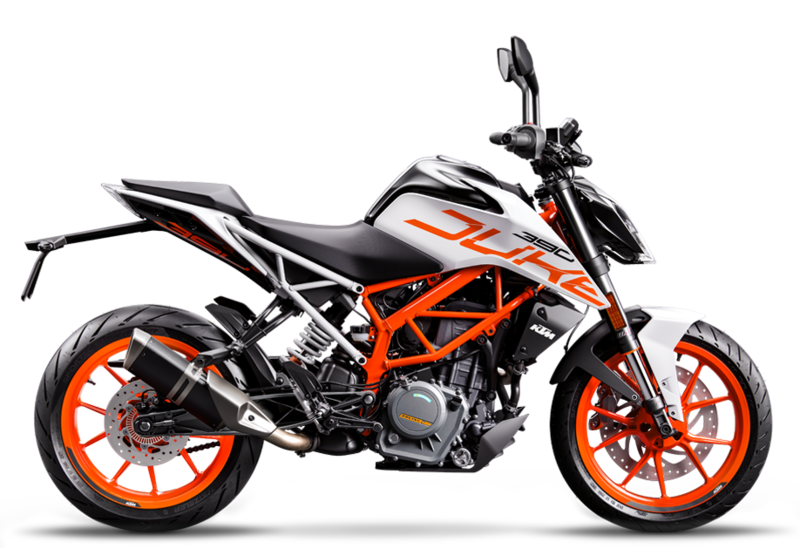 The KTM 390 DUKE’s ride by wire ensures perfect delivery of the readily available and gut-wrenching torque. It also electronically translates the throttle commands of the rider into throttle valve positions, perfectly suited to the riding conditions, making this the perfect crossover bike for both road and circuit riding. Thanks to its progressive 150 mm spring, the KTM 390 DUKE will perform in any environment you can throw at it. The preload is adjustable, so you can count on well-balanced suspension whether you’re riding solo or two-up, with or without luggage, on road or on track. The choice is yours. Thrill-seeking riders will love the added fun-factor (and extra racetrack control) of the advanced ‘Supermoto Mode’, activated at the push of a button. When engaged, the system will only control the front brake. Rear brake pressure is entirely up to the rider’s right foot, allowing you to push your riding skills to the absolute limit. 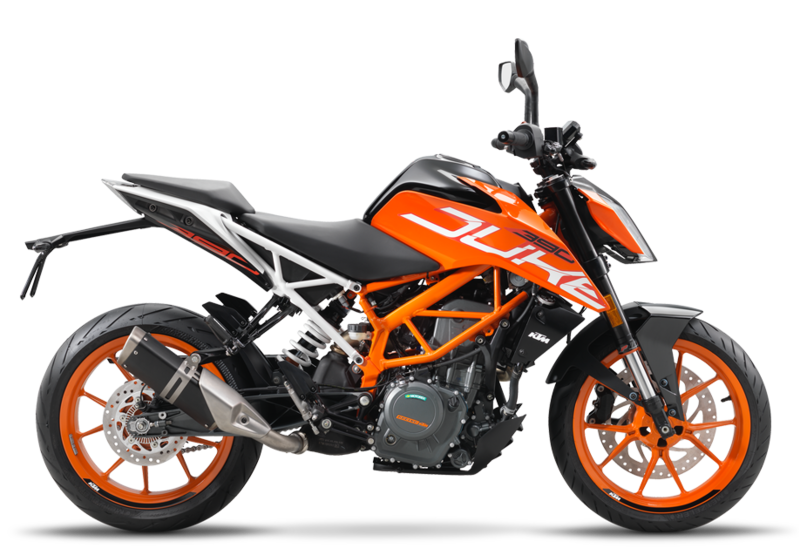 The KTM 390 DUKE gives you the handy option to tether your smartphone directly to your bike via the advanced KTM MY RIDE. This easy-to-use upgrade system gives you full control over incoming calls and features a pumping audio player for your favorite riding tunes. 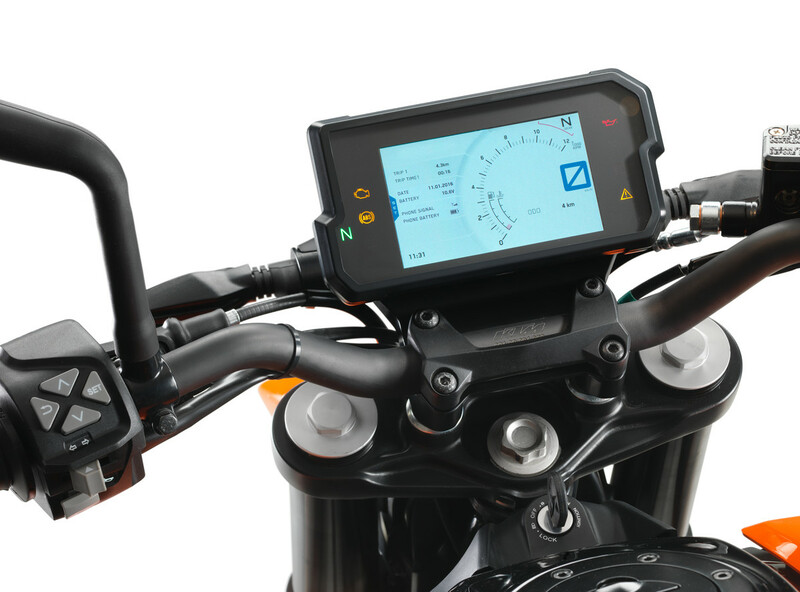 All the information pops up on the bike´s display, letting you manage everything from the menu switch, while you keep your hands where they belong – firmly on the bars.